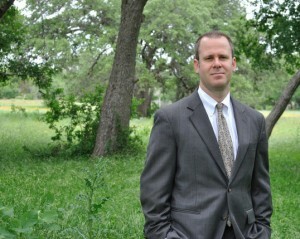 Attorney Carter Thompson practices law in and around Austin, Texas. His top priority is helping clients achieve their goals, and to provide them with clarity, optimum results, and peace of mind. Carter Thompson was born and raised in Houston, Texas. After graduating from University of Texas at Austin, Carter moved to Galveston to work as a newspaper reporter. For 10 years, he covered the courts, law enforcement, health care, and the island city’s colorful political scene, winning numerous awards in the process. More importantly, Carter kept his readers informed about their government and the issues affecting their community. Driven by a desire to participate in issues rather than simply report them, Carter pursued a career in law. He brought with him the investigative and writing skills that he honed as a journalist, as well as his innate sense of justice and commitment to service that drew him to journalism in the first place. While studying at The University of Texas School of Law, Carter was a fellow in the prestigious National Security and Human Rights Clinic and graduated with Honors. Carter clerked in the Appellate Division of the Travis County District Attorney’s Office during and after law school, working on dozens of cases including homicides, sexual assaults, and other felonies. Carter also clerked in the Criminal Prosecutions Division of the Texas Attorney General’s Office, where he assisted in the prosecution of members of a fundamentalist sect for sexual assault charges. Carter joined The Butler Firm in Austin in 2009. There, he managed a caseload that included a broad range of civil litigation matters, and provided negotiation, contract-drafting, and other transactional services to his business clients. In 2012, Carter started his own practice. Carter’s goal to learn each client's goals, provide a thorough and realistic assessment, and execute a plan of action to get the best possible results.